A general course introducing students to the most common types and forms of contracts used in business practice including formation, terms, guaranties, defenses and means of legal and extralegal enforcement of contracts. The aim of the module is mainly to introduce the students to the basics of contract law with a focus on selected issues of application of legal tools in the general business practice. The course has the purpose to lead the participants to learn the basic legal concepts taught in the context of both the common and continental legal tradition. Important part of the module is dedicated to practical forms of business negotiation of different forms of contract, use of legal instruments in balancing the business risks and in legal drafting. The content of module is divided to eight main topics. Economic cooperation and enterprising is based on legislative framework making the private agreements of parties binding and enforceable. State mechanism is employing wide range of instruments,both of preventive and repressive character. 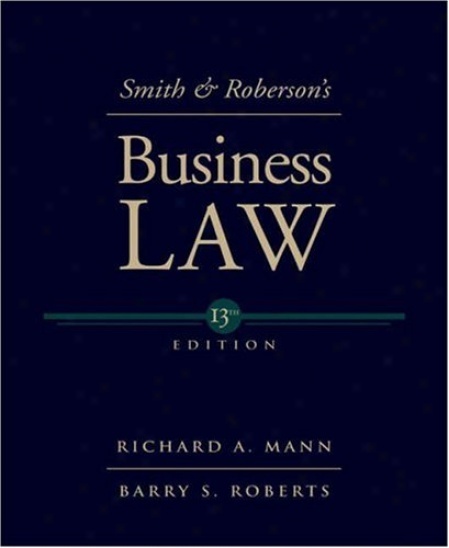 Use of such legal instruments in business law is subject to free consideration of parties of contract. · Distinction Between Public And Private Law; Interference Of Public Law Into The Private Law Related To The Law Of Contracts. Rights and obligations arise not only from contract but also from breach of duty. Common law tradition is reflecting this distinction by the concept of Torts and Contracts. Obligations are falling into the category of relative rights being applicable to the limited number of parties of legal relationships only. Enterprising is based on the contractual relationships concluded voluntarily by parties. Parties of such relationships are in principle free in the content and form of their agreements. In special cases this freedom is limited by public law restrictions representing public order interests and the principles of fair business. Parties of the contract are free in their choice of the form of contract. For some types of contract the special form is required by law. Non fulfillment of the form of the contract requirements is sanctioned by its invalidity. Process of the negotiation of the contract is determined not only by the legal requirements, but by the negotiating power of the parties. Proper identification of this criterion is vital for the choice of appropriate method, form and tools of negotiation. Right and duties of the parties are arising not only from the agreed explicit wording of the particular agreements but also from the implied terms set by applicable legislation. Negotiation of the contract is involving risks arising from implied terms potentially unknown to the party of contract. On the contrary to the essential elements of the contract making contract legally valid, function of guarantees and liabilities is to implement maximum protection against the involved. Guarantees and liabilities are not used in published standard form contract documents. Fulfillment of all duties arising from the contract is its proper discharge. Quality of performance is set accordingly to business standards and commercial habits of particular business activity. In the case of breach of contract, the injured part may seek court or arbitration protection, withdraw from the contract under specific conditions or amend the contract by mutual agreement. In the case of breach of contract court protection could be granted subject to individual petition. Court judgments and arbitration awards are subject to enforcement proceedings. International treaties are providing for the mutual recognition of judgments and arbitration awards. General international legal framework for the sale of goods contracts is unified by UN Convention, most frequent forms of commercial terms for business contract are standardized in globally recognized form. The aim of the course is to familiarize students with the system, principles and specifics of a corporate law and law of obligation. Emphasis is placed on the interpretation of commercial law with an emphasis on the international aspect of the economic of law. Access to the corporate law, comparative and allows the acquisition of practical experience in setting up and managing various forms of business corporations, with an emphasis on the practical elements of corporate governance. Law of obligation is aimed at contractual and tort liabilities and their practical application. The course includes theoretical and practical mastery of the use of standard types of nominate contracts and their formation. Course methods: A combination of theoretical teaching with practical solutions from the areas of national and international economic practice.